OmniFocus 2 for iPhone ($19.99) by The Omni Group is a drastic redesign of the original OmniFocus for iPhone. I’ve been a longtime user of OmniFocus for my work-related tasks, and as it has never failed me, I don’t see myself dropping it any time soon. 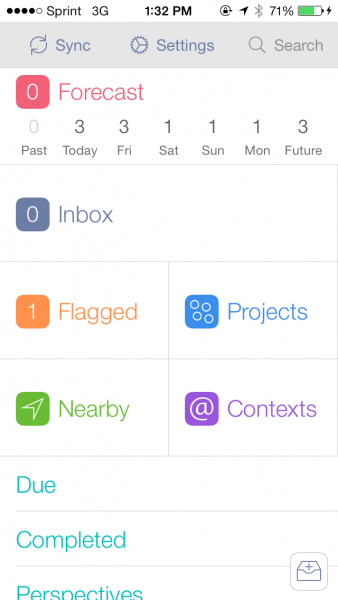 OmniFocus is one of those apps that has been on my home screen for a very long time. I use it daily, and it has all the features I need, and then some. When I was awaiting the flood of iOS 7 apps on Tuesday night, I was quite surprised when I saw this specific tweet from The Omni Group. I honestly wasn’t expecting much for OmniFocus on the day of iOS 7, and was thinking that they would have something later on down the road. So imagine my genuine shock when I saw that tweet — I become even more excited, and that’s saying a lot, considering there were so many new iOS 7 apps and updates to expect. 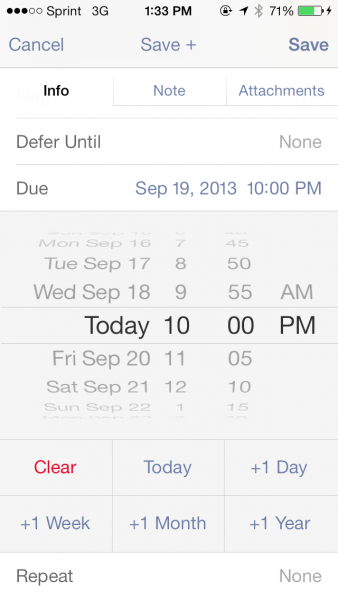 So when I finally got my hands on OmniFocus 2, it quickly became one of my favorite iOS 7 specific apps, hands-down. This is more than just an updated look of the old version — this is a completely new app, and I am just in love with the interface. 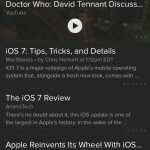 Gone are the clunky old menus and navigation of the past — they’ve been replaced with a clean, white background, and the main screen features a brand new menu of the different sections of the app, which are all color coded for easy recognition. This new layout makes it incredibly easy to tell from one glance how many items you have upcoming in the Forecast, in your Inbox, which are Flagged, Nearby, and your Projects and Contexts. 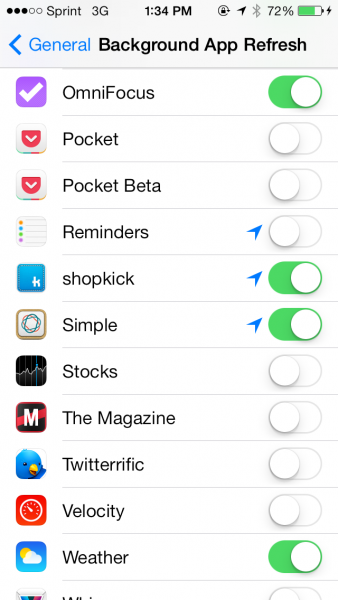 There is now a pull-down menubar at the top for the three S’s: Sync, Settings, and Search. As you get further into your tasks, the pull-down menu will always be accessible, no matter which view you’re in, so you can continue to sync and search. 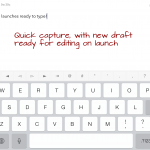 Additionally, the “New Task” button is now always floating in the bottom right corner, giving users quick-and-easy access to adding a new task at any given moment. This also brings to attention the detail that OmniGroup has put into the app — the New Task screen slides in from the bottom, and it features an incredibly smooth animation. I found it to be very polished, and am quite impressed with what The Omni Group has done here. 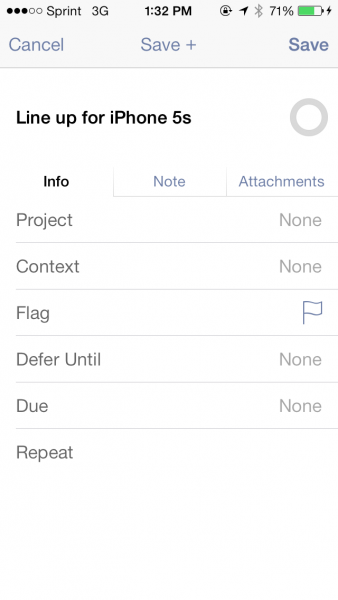 A previous issue with the old OmniFocus I always had was the fact that it seemed like adding notes and attachments to tasks was just something thrown into the app. This is no longer the case. Now, when you are viewing the task detail screen, Notes and Attachments get their own tabs alongside Info, making it a much better experience than tapping on a small, blue arrow button. 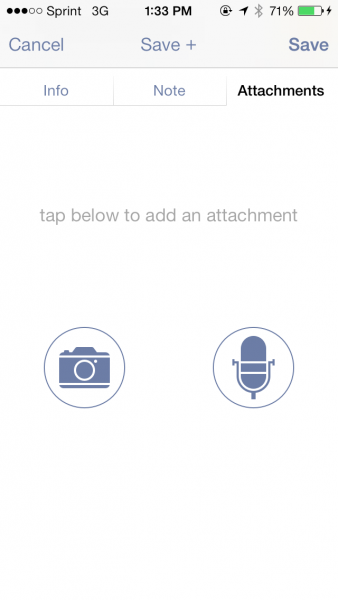 Also, attachments now get their own collection view, so you get thumbnails of images and audio recordings. 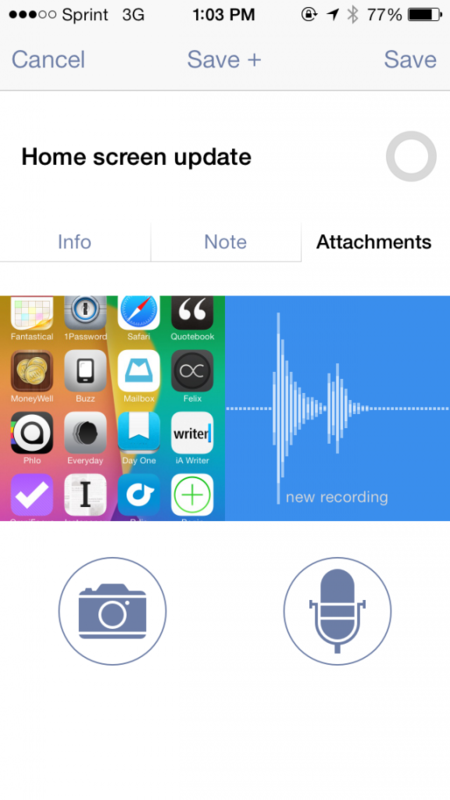 This makes the overall process of including photos and recordings much easier, thanks to large, accessible buttons. 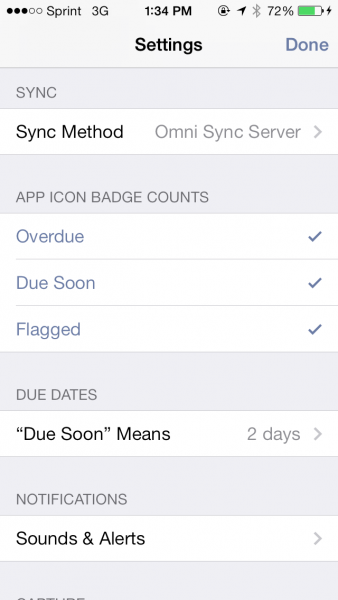 Now, while I love OmniFocus, I really hated the old method of syncing. Whenever you chose to sync in the previous version, it would cast an overlay on the screen with a progress bar for the sync, thus locking you out of using the app while this occurs. And not to mention that even with using Omni Sync Server for syncing, it always seemed to take a while for it to complete. I’m extremely happy that this is no longer the case. 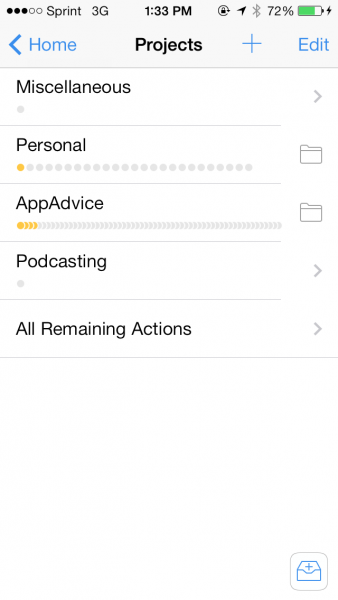 Sync happens in the background as you use the app, so you don’t need to just sit there and watch it. It’s also incredibly fast, so you don’t have to wait eons to make sure your data is synced. 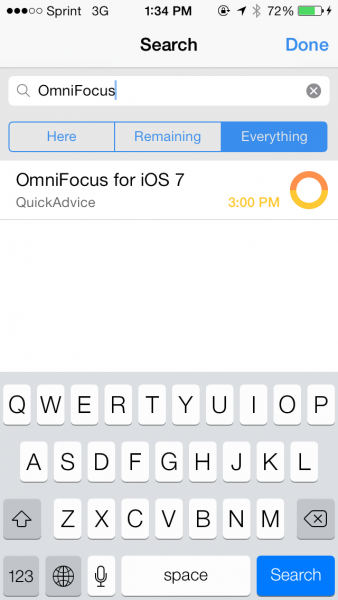 OmniFocus 2 even supports the new Background App Refresh feature in iOS 7, so you can make sure that your data is always being synced and nothing is lost when you’re not even in the app. 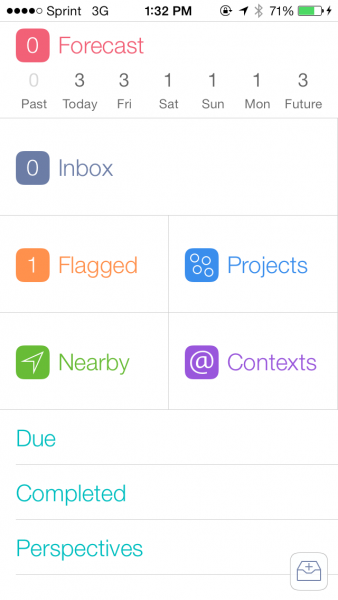 When you drill down into your projects or contexts, OmniFocus 2 now gives users a quick visual of how many items exist in each, thanks to the new circles that you’ll find underneath the name. Colored icons will represent items that still need to be completed by a certain due date, and gray ones are for items that aren’t due at a specific time. Another nice change I am really enjoying are the new circles that have replaced the old checkboxes. These are also now color coded, and if you have an item that is due at a specific time and is flagged, it will show both colors in a semicircle fashion. Not a groundbreaking new feature, but one that I definitely like, and enjoy. Overall, I’m very impressed with OmniFocus 2 for iPhone. 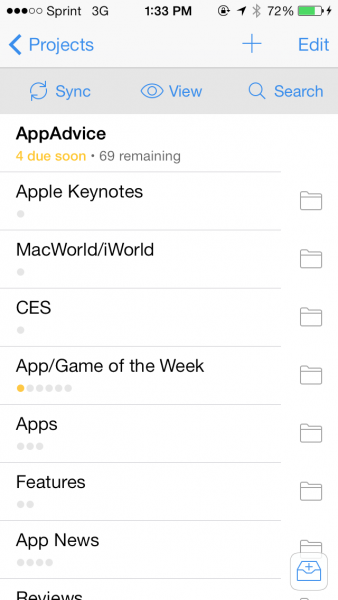 I am kind of a productivity nut, so I have a thing when it comes to GTD apps, and OmniFocus has always worked for me. 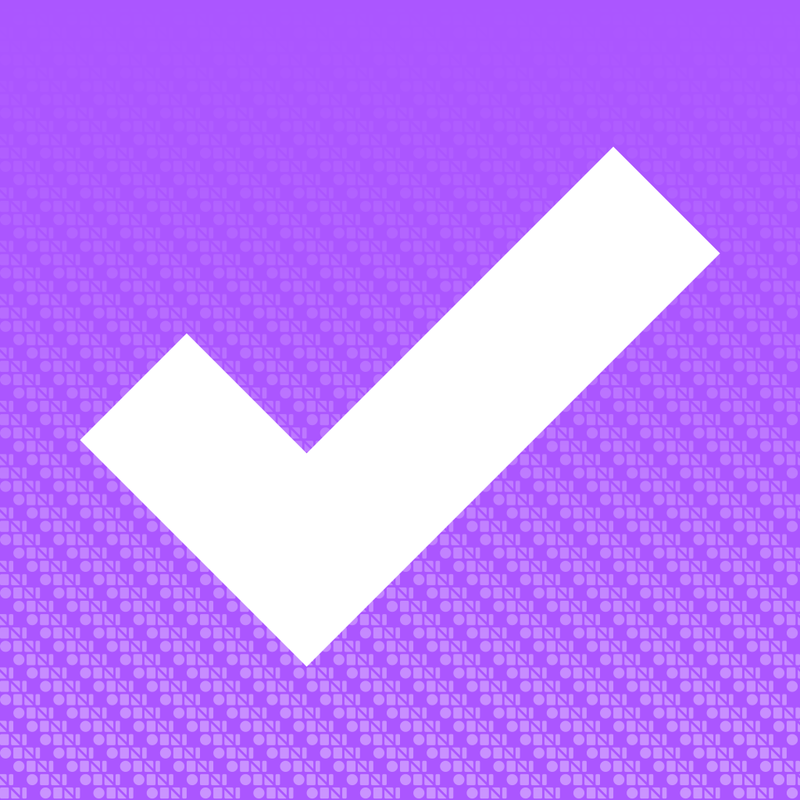 OmniFocus 2 is definitely worth it if you are in search of the complete productivity suite for managing your tasks. 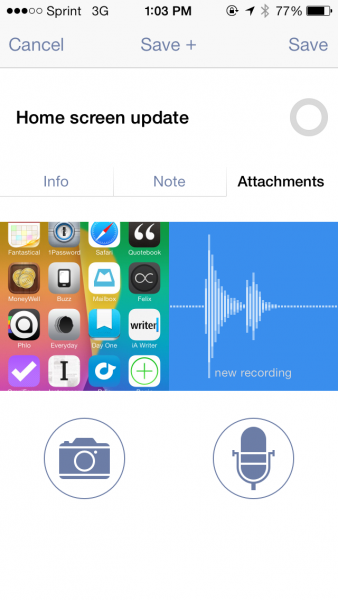 This new version of OmniFocus is a perfect example of creating an iOS 7 app that does not fall into the norm, which is what most apps seem to be doing. 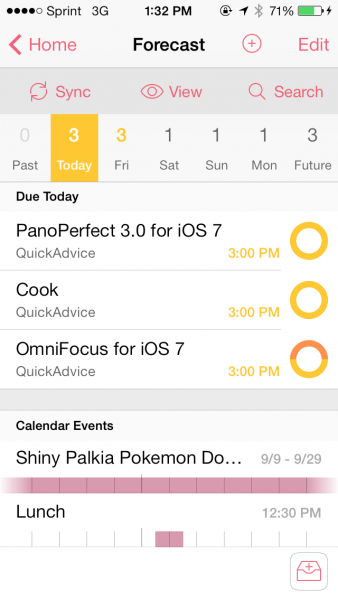 You can find OmniFocus 2 in the App Store for your iPhone for $19.99.